Russia and Great Britain signed the Anglo-Russian Entente, defining their respective spheres of interest in Persia, Afghanistan, and Tibet. The accord was signed on 31 August 1907 in St. Petersburg by Count Alexander Izvolsky, Foreign Minister of the Russian Empire, and Sir Arthur Nicolson, Britain’s ambassador in Russia. The convention primary aim was to resolve the long-running disputes over the powers’ respective imperial peripheries, though it also served their broader diplomatic objectives by helping to provide a counterweight to German influence. 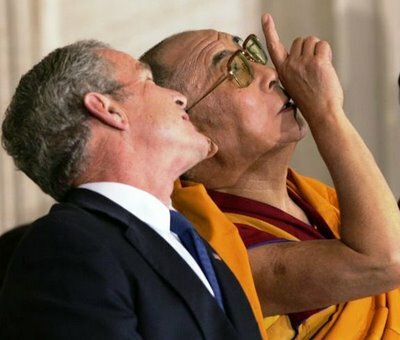 The government of China has claimed that the Dalai Lama is cooperating with Islamic extremists as part of a plot to bring the country into crises before the Olympic Games, which are due to be half in Beijing this Summer. Tenzin Gyatso, the 14th Dalai Lama is a charismatic figure and noted public speaker was the first to travel to the West. He was awarded the Nobel Peace Prize in 1989, honorary Canadian citizenship in 2006, and the United States Congressional Gold Medal on 17 October 2007. The last two awards and great relations with the White House probably are not the right tools to involve China to discussion.